When it comes to search engine optimization, blog commenting is always considered an important part of the strategy. It’s also one of those strategies that only gets better over time. Long term consistency that actually gets results. 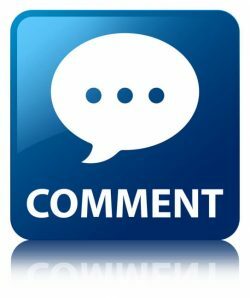 If you complete a certain number of blog comments per month, it’s with the expectation that not all of them will get through. However, since it’s the long term effort that really matters, the fact that a handful of blog comments don’t get through from month to month won’t make a big difference in the overall results. The long-term benefits far exceed helping with SEO. However, this is only the case if it’s done properly. According to Google’s current guidelines, “All links intended to manipulate PageRank or a site’s ranking in Google search results may be considered part of a link scheme and a violation of Google’s Webmaster Guidelines.” To be safe, all blog comments should have their links set to “no follow“. This means that when Google crawls the page, any links that have a “no follow” tag won’t be followed. As a result, Google won’t consider the link a “backlink”. If Google determines that a backlink was created artificially, this could result in a penalty. Since commenting is recognized as a task that is done by a site owner, it’s best to leave them at “no follow” to stay on Google’s good side. It is important to understand that making meaningful comments on relevant industry blogs. Although it may not have a direct impact on SEO, it definitely has noticeable benefits in an indirect way. It establishes you as an authority on your subject. It can help get more traffic to your blog. Over time, it can also help result in meaningful backlinks as you begin to get recognized for your efforts. Visibility. 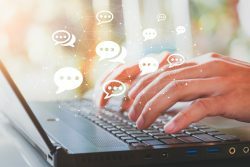 If you leave enough comments, people will recognize your name and your brand, which leads to increased traffic and engagement. Branding. Increased visibility from the commenting also makes it easier for you to build your brand. Relationships. Regular commenters can easily form relationships with relevant people in your field or within your target market. Credibility. When leaving a comment, you show others that you’re an authority on a certain topic. This will make you a credible source of information. Traffic. Even though the links are set at “no-follow” this doesn’t mean that they can’t send traffic your way! When links in the comments are set at no-follow that means they’re not for the search engines at all, they’re for the users. When someone reads a comment that they enjoy, it’s only natural to become curious about the commenter. So, they click on the link and begin browsing on that site, as well. It’s part of the natural way that people tend to search for information online. If they like the content on your site, the user may take things one-step further. In an effort to remember to visit your site again, they may bookmark it, share it on social media sites, and even share the link on their own blogs and websites. Any engagement obtained this way is far more valuable from Google’s perspective, especially with link building. In other words, blog commenting does work for link building, just not in the way that we expect.